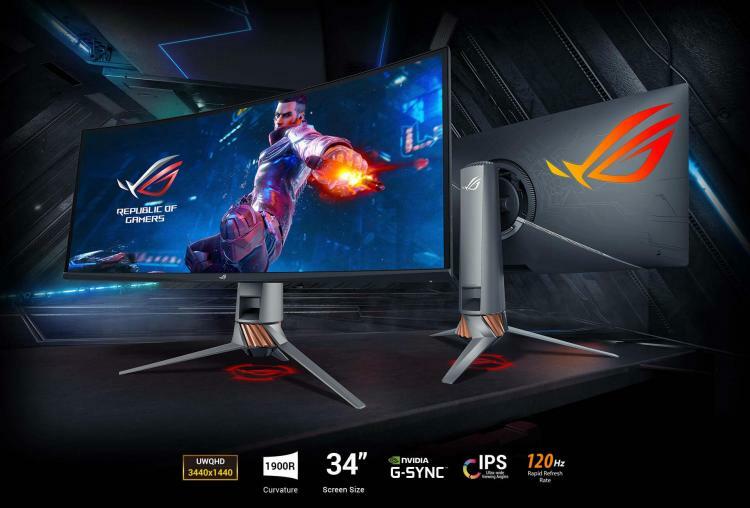 ASUS introduces its newest addition to its gaming monitor line-up – the ASUS ROG Swift PG349Q Ultra-wide Gaming Monitor. The ROG Swift PG349Q is a 34-inch ultra-wide monitor QHD (3440x1440) curved monitor with a 21:9 aspect ratio. It comes with a native refresh rate of 120Hz and supports NVIDIA G-SYNC technology. 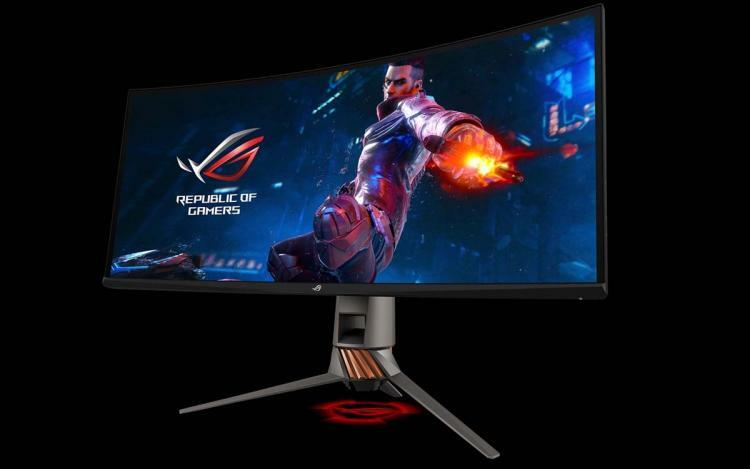 ROG Swift PG349Q features a curved IPS panel with superb colour accuracy and its 1900R curvature creates panoramic gaming visuals. Like all the ROG Swift gaming monitors, the ROG Swift PG349Q sports the signature RGB illumination on its stand and rear ROG logo. RGB lighting is powered by the ASUS Aura Sync which can be synchronized with other Aura Sync-enabled components and peripherals. The ROG Swift PG349Q Gaming Monitor is the new flagship monitor in the ROG gaming monitor line-up. Its ultra-wide 120Hz IPS display supports NVIDIA G-SYNC technology for smooth and stutter-free gameplay. The 34-inch QHD panel comes with a pixel density of 109 PPI offering superb detail for gaming and entertainment. Its RGB lighting is powered by ASUS Aura Sync lighting technology which comes with 12 lighting effect pre-sets. 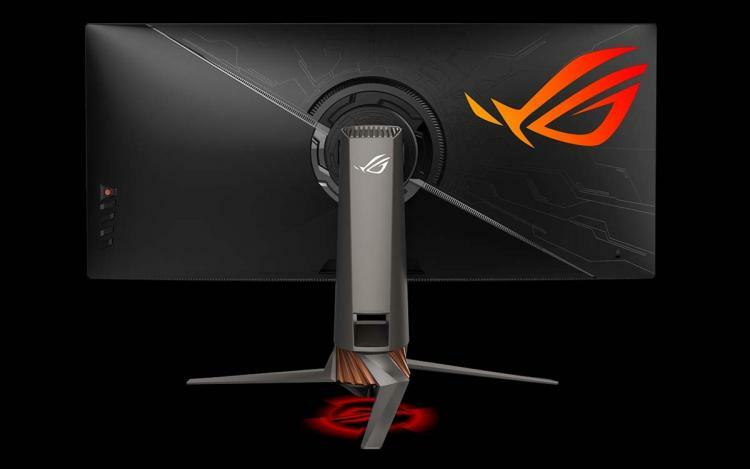 The ROG Swift PG349Q also features the ASUS exclusive GamePlus Technology which offers a unique crosshair overlay, timer, and FPS counter. The monitor comes with a GamePlus hotkey with in-game enhancements co-developed with professional gamers. No information on pricing and availability as of this writing. Considering the price of the older ROG Swift PG348Q at $999 on release, we expect the same or a bit higher pricing for the ROG Swift PG349Q gaming monitor. Learn more about the ROG Swift PG349Q Ultra-wide IPS G-SYNC Monitor here.